Ravi, Rambabu and Brahmanandam work as mechanics. These three families live in the same neighborhood and their husbands,spend half of their salary on the unnecessary items and their wives always find it impossible to make the ends meet. 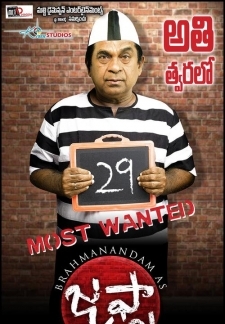 © 2018 Scratchu.com Kshemanga Velli Labhamga Randi | Brahmanandam, Rajendraprasad, Srikanth - Kshemanga Velli Labhamga Randi (2000) | Telugu Movie | 7.0/10 | Synopsis : Ravi, Rambabu and Brahmanandam work as mechanics. These three families live in the same neighborhood and their husbands,spend half of their salary on the unnecessary items and their wives always find it impossible to make the ends meet.... Watch Online!! !